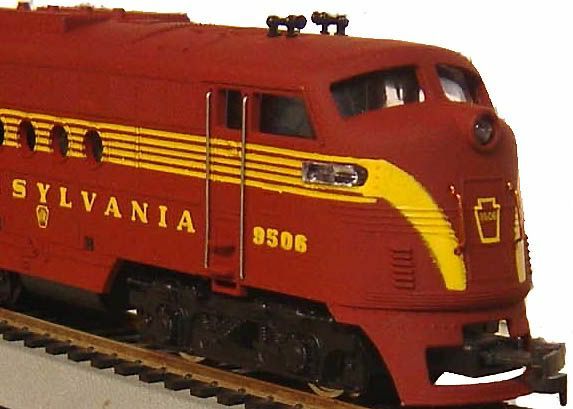 Released by American Train & Track in 1968, this HO-scale FT-A diesel was available in four roadnames: ATSF, B&O, CB&Q, and PRR. The powered example retailed for $10.98; a non-powered example sold for $3.50. This model was manufactured for ATT in Yugoslovia. The model rides on FM trucks, similar to those found on AHM's BL2 and FM C-Liners, which also were products of the same maker in Yugoslovia. 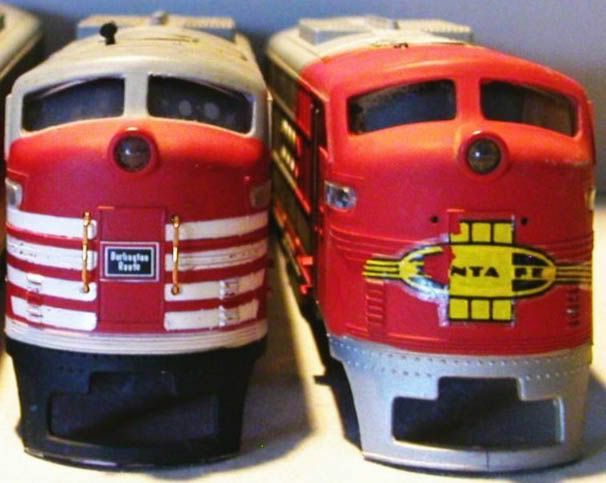 According to its Loco Builders Photo entry in the June 1968 edition of Railroad Model Craftsman, this FT-A unit weighed 15 oz. and was 6-1/2" in length with truck mounted NMRA couplers and was capable of taking 15" radius curves. The model was powered by a 5-pole permag motor vertically mounted powering the rear truck. For its many shortcomings, this little FT-A does feature separately applied wire handrails, certainly a rare option on a simply RTR diesel of this era. 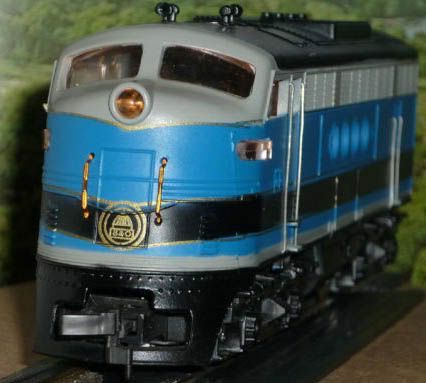 In addition to American Train & Track's release, Precision had a run of this same FT-A unit as seen below.